Even the most loyal of Harry Potter fans should be able to admit that there are a whole bunch of characters in J K Rowling’s books that just didn’t quite reach their true potential. Poor Rowling; how many things has she had to apologise over in the last few years following the crazy criticism and analysis over the best selling fantasy series? From the proposition of Dumbledore being gay, to the killing of Fred Weasley, the poor woman never stops being hassled over small oversights in her novels. Today we look at some of the more interesting reasons why some of her characters, be they good or bad, made poor decisions in order to move the HP plot along. Here’s to all the characters who made mistakes, and who messed up well enough in their wizarding world activities to make it onto this list. 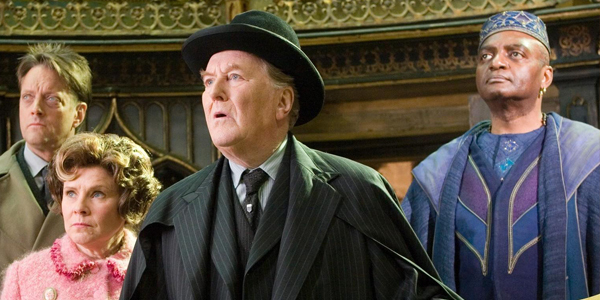 Let’s face it: Cornelius Fudge is first and foremost a politician, and a politician he is through and through. His primary concerns are the viability of his post and his popularity, and when faced with the inconvenient truth of Voldemort’s return, Fudge chooses to deny the danger to the wizarding world. Because he is a coward. Instead, he puts effort in to discredit those who, in his opinion, threaten his political power, and ultimately shows himself to be paranoid, self-centered and without scruples. He also appears to be somewhat gullible, being easily duped by Lucius Malfoy and apparently failing to recognise Umbridge for what she was. He’s also just quite a pathetic character, showing few traces of bravery and inevitably doing little for the greater good of the wizarding world. Can you think of any traits in Pettigrew that are worth applauding aside from his loyalty to the dark side? Peter Pettigrew’s real mess up is his dedication to Voldemort, who obviously fails to win over the world with his evil tricks. But even Peter’s loyalty to Voldemort is not something to be praised. Scared of everything, the snuffling, unattractive man shows perfectly what it means to be a true coward. His loyalty is to himself, with all decisions made based on what will benefit him the most, from betraying his school friends when he decided his best course lay with old Voldy, to appealing to Harry’s better nature when the right decision would probably have been to kill him. He gets what he deserves though, when his own silver hand chokes him to death. He should have stayed a rat and run away when he had the chance. Don’t get angry, HP fans: this is really just referring to that time Ron LEFT HARRY AND HERMIONE while they were out to save the world. And alone in the woods. 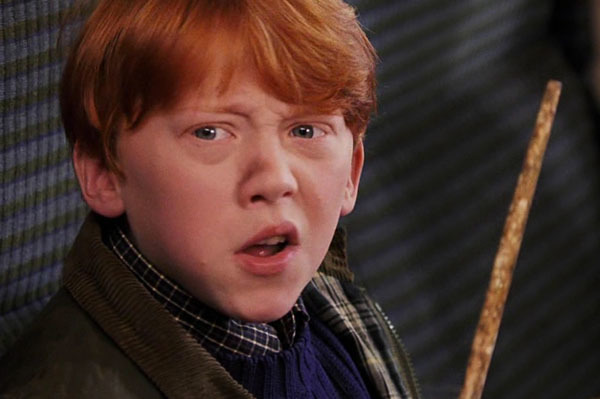 Though it seems unfair to point the finger at Ron with regards to being the weakest of the trio (because he certainly puts in his fair share of effort), this one episode of childlike rage ranks him third in the Harry, Hermione, Ron balance. Because he shouldn’t have had a tantrum and left them, right? Friends don’t leave friends when the fate of the world is in your hands. Jealousy is not an attractive quality at the best of times, and J K Rowling’s decision to have Ron run off in a fit of anger gives ample reason to lose a little respect for his character. Thank god he returns eventually, in order to redeem himself. Still, it’s taking a lot longer than we expected to truly forgive him for such an immature display of behaviour. Dumbledore’s character is complicated, and vast in trying to analyse, though many fans and critics have attempted to on multiple occasions. Despite his poor representation in the films, Dumbledore is by and large always fighting for the greater good, with only goodwill towards his fellow wizards, even if at times he does seem to make strange decisions. We can forgive Dumbledore his poor treatment of his family, the death of his sister, and his casual curiosity into the power of dark magic as a teenager, because his intentions overall are true. However, Dumbledore crossed the line from being a stoic leader to a calculating manipulator in his old age, and this is where he becomes a character who messed up. He never gave his followers all of the information they needed to make a free choice. He gave them only enough to manoeuvre them into doing what he wanted them to do (this was especially true of his two most valuable assets: Harry Potter and Severus Snape). Would he have done it all differently if he could go back again? Or rather, would J K Rowling? We’ll never know. Cho, Harry’s first romantic love interest, messes up entirely in The Order Of The Phoenix when whatever little spark the two had between them completely fizzles out. From a wet kiss ‘because she was crying’ to an awkward tearoom spat in Hogsmede over Harry’s friendship with Hermione, Cho messes up when she fails to see the real hero that Harry is and instead chooses to side with her friend who betrayed the D.A. While it’s understandable that Cho has to choose between her alliances in order to keep people happy, her lack of conviction for Harry’s point of view makes her a poor choice in the Potter Love Department. But Harry is her loss and Ginny’s gain, as we find out in the last book. Anyone who makes a fire for their own vindictive purposes and then perishes in it because they’re too stupid to save themselves deserves to be labelled as a total mess up. A dislikable character from The Philosopher’s Stone, Crabbe’s association and loyalty to Malfoy make him an obvious ‘baddie’ in the Harry potter series, easing any pain we might have had at his inevitable death in The Deathly Hallows. Making several cruel decisions throughout the series, from hurling a bludger at Harry in The Order of the Phoenix, to learning to do the Cruciatus Curse surprisingly well in their last school year make his fate an unsympathetic one. 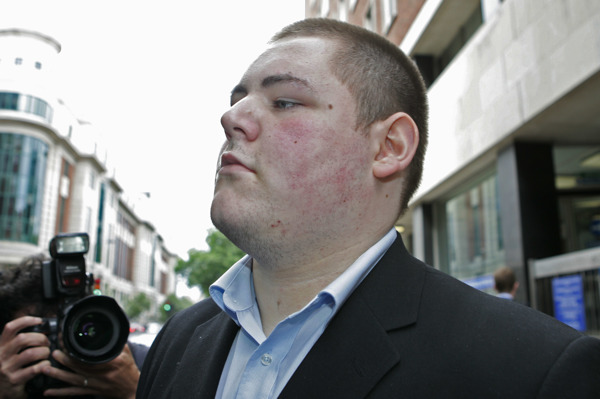 In fact, it might be safe to state that Vincent Crabbe got what he justly deserved. Ah, evil Griphook, the lover of all things gold and expensive. Griphook’s betrayal of Ron, Harry and Hermione in the Gringotts bank caves (if only Barclays buildings were as much fun) is a serious one, despite the fact that they still find the Hufflepuff Cup and destroy it. 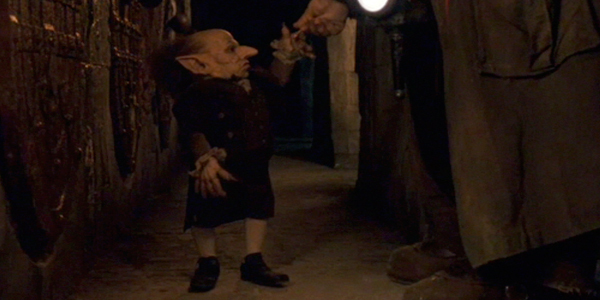 Griphook’s mistrust of wizards is no excuse for his possession over the sword, or him calling to the bank staff that there are thieves in the vaults. Well, he messed up entirely there, didn’t he? The trio escape on a dragon, Griphook is called to Malfoy Manor to explain what happened, and Voldemort kills him with a killing curse. So really he got what all traitors deserve. 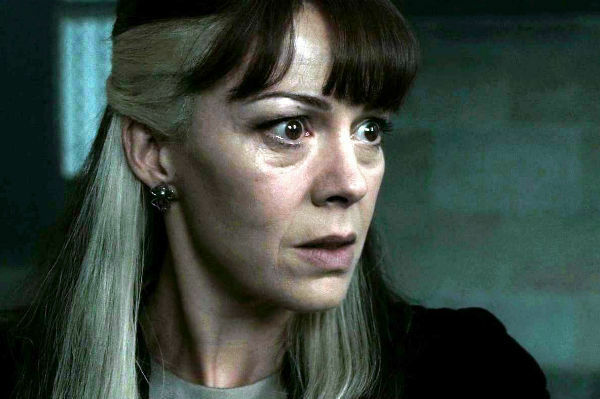 Really, her biggest mess up was marrying into the wrong family, but that doesn’t excuse her disdain towards Harry, her cowardly decision to sacrifice Snape should Draco fail at his assigned task of murder, or her ability to constantly comply with her husband even though she has her own wishes. Really, her love for her son over her loyalty to the Dark Lord is her biggest failing but also the only thing that makes her the tiniest bit admirable. She’s choosing to go against the scariest dude on earth in order to save her child, which makes her a good mother. Still, it’s a recipe for disaster from the start. She should have kept her nose out and her mouth shut and joined Harry in the fight for the light. 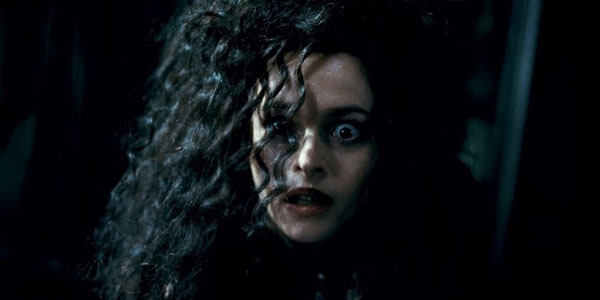 Too crazy and murderous to be exempt from having the finger pointed at her, Bellatrix’s worst mistake is killing Sirius. Because how else do you get someone’s blood up than by killing off the only family (ish) member that they’ve only just found. Harry’s rage against Bellatrix is a deciding factor in his continuous hate campaign against her in the last few books. Her real weakness is her obsessive devotion to Voldemort, putting him above anything else, including her family. Bellatrix’s evil nature borders on total insanity, causing her to act rashly and fervently, and in the Department of Mysteries, it is noted that the other Death Eaters present seem disturbed by Bellatrix’s intensity. Of course Voldemort messed up: he didn’t win, did he? In fact, in the entire HP series, he’s probably the epitome of someone who messed up. Throughout seven books we have to listen to him go on and on about killing the boy, about ridding the world of Dumbledore, and about killing off everyone who stands in his way. But crucially, instead of heeding the prophecy foretelling his own death, or hiding his Horcruxes somewhere nobody would ever be able to find them, or like, just having a simple forcefield around them, he became so obsessed with his own power that he basically turned his own arch-nemesis into a magical killing machine. Sure, it takes a lot of effort on Harry’s part to finally get it over with, but good overrules, as it should do in these fantasy books, and Voldemort ends up as nothing more than a cloud of ashes in the wind. When he could quite easily have reigned supreme from his evil throne and just got someone else to kill Harry and hide the bits of his soul he really needed not to be found. Instead of putting them literally everywhere related to him in any way like an idiot. 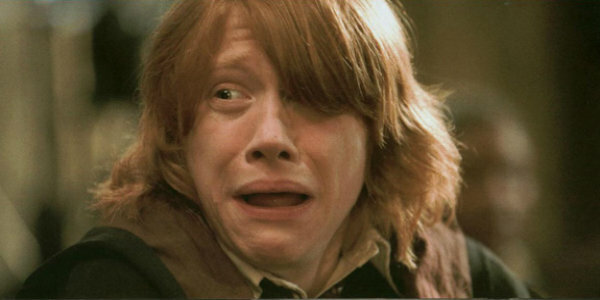 Which other massive mess ups in the Harry Potter world deserve to be on this list? Share your thoughts below in the comments thread.